Longstanding German imprint Lebensfreude Records have featured more than their fair share of top drawer house and techno through the years - and their latest release sees them perk up with more of the same. 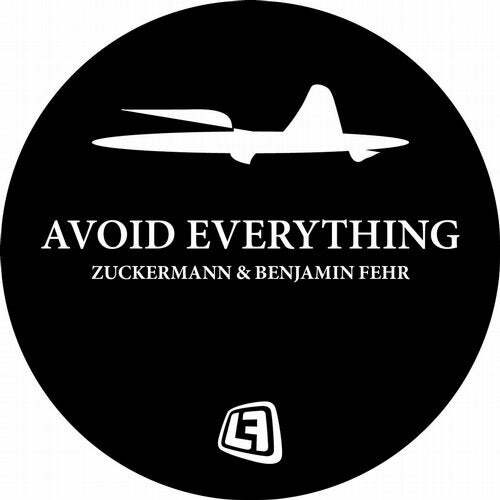 A collaborative effort between Destroy All Monsters boss and Lebensfreude co-chief Zuckermann and Catenaccio head honcho Benjamin Fehr, the 'Avoid Everything' EP sees the duo team up together with considerable panache, with two very different but equally enticing tracks that go some lengths to explaining the varied sounds of both men involved. Opening up the release is the sounds of the title track. A sprightly deep house gem, it gets underway courtesy of a series of innocuous beats that quickly become more hurried and grow in stature as the track gathers pace. The spoken vocal refrain only adds to the overall sense that the release isn't lacking in character, with the 'dirty communist lie' the sort of unusual addition that the likes of DJ Koze would take great pleasure in. On that note, this is a wonderfully off-kilter and catchy club track, and definitely the sort of weapon that'll keep feet moving on the dancefloor. Elsewhere, 'Maraudeure' sees the producers go down a not-so-straight path. This time the emphasis is on unusual percussion and razor-sharp synths. By the time the track finds its feet, the listener is practically grasping for a solid baseline. A clever example of the sort of track that's indicative of two minds rather than one, 'Maraudeure' is very much the yin to 'Avoid Everything''s yang. A stunning release of various shapes and moods, it's a fitting addition to the discography of all those involved.